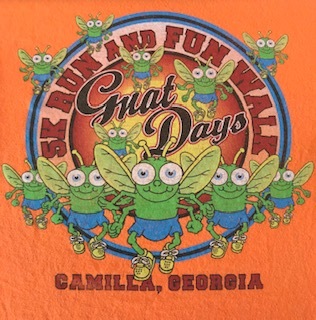 Join us for the 32nd Annual Gnat Days 5k, on Friday Evening, May 10, 2019, at 7 pm at the Camilla Courthouse Square Park, in Downtown Camilla (located behind the Courthouse). We will have concessions on site and the band BonFire will be on hand providing live music until 11 p.m.! Make plans to stay and join us! Look for us on Facebook!! !